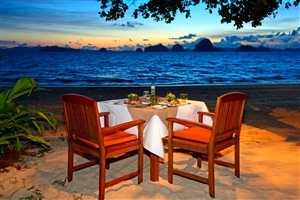 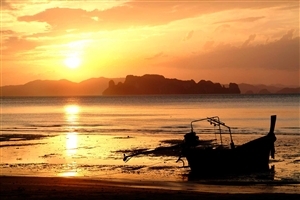 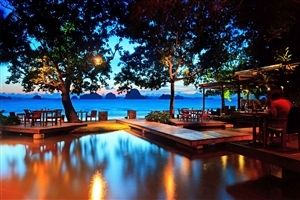 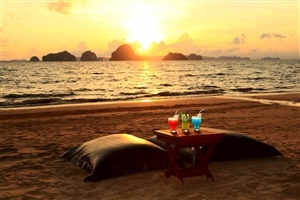 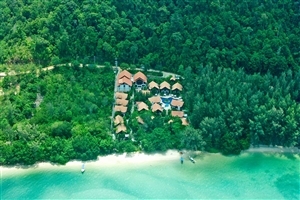 The stylishly designed Tubkaak Krabi embraces the serenity of its surroundings by offering a relaxing and idyllic setting for an unforgettable Krabi holiday. 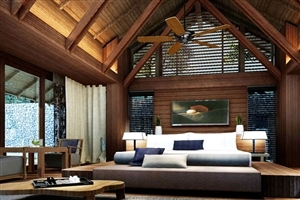 A sanctuary for intimacy with its 42 guestrooms, the boutique style Tubkaak Krabi resort will delight with its welcoming ambience and quality touches, including Thai architecture and decoration. 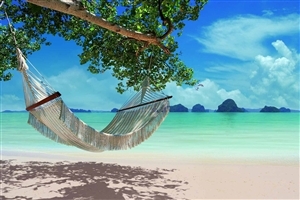 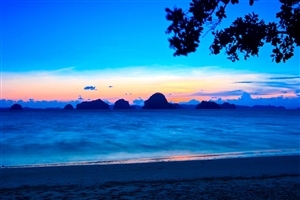 Looking out over the Hong Islands and the stunning landscape, Tubkaak Krabi is enhanced by its impressive facilities, including an indulgent spa, beachfront hammocks and a tropical swimming pool. 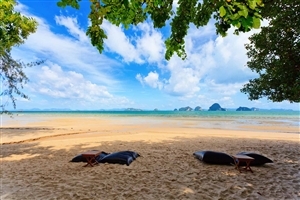 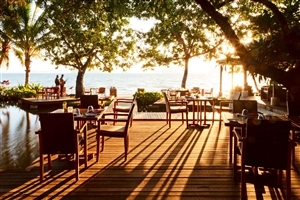 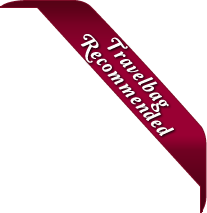 An award-winning boutique resort, the Tubkaak is an intimate hotel ideal for adults wanting a romantic retreat on the soft sands of Tubkaak Beach. 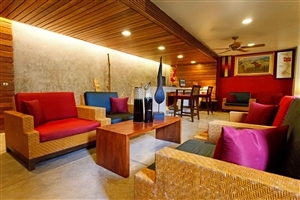 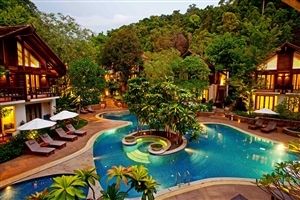 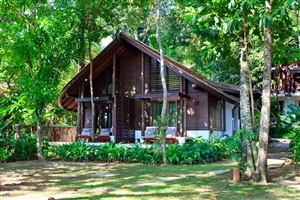 Surrounded by peaceful forest, the resort is a tranquil haven to relax in, yet Krabi town is only 30km away. 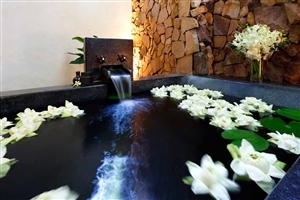 The luxury rooms and suites are designed in a contemporary Thai style creating a stylish interior together with a comfortable atmosphere and include oriental outdoor bathrooms. 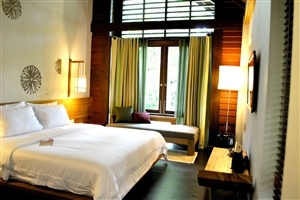 The Deluxe rooms at Tubkaak Resort are located on the upper floor of the villas for sweeping views of the resort and include an outdoor bathtub and shower, plus a spacious balcony. 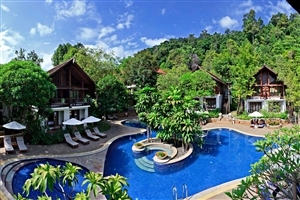 The Superior rooms at Tubkaak Resort offer 40sqm of accommodation space and are located on the ground floor for easy access to the swimming pool, Jacuzzi and exotic gardens. 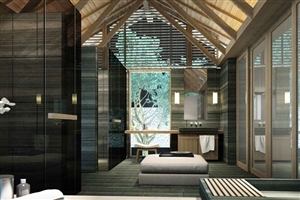 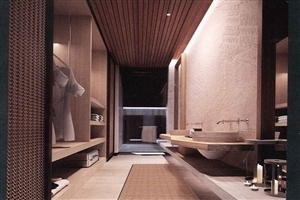 The Superior rooms feature an outdoor bathtub and shower. 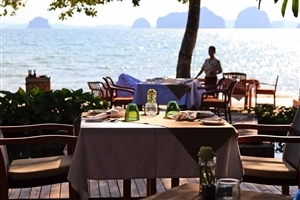 The Sea View rooms at Tubkaak Resort offer 60sqm of accommodation space and are located on the oceanfront for sublime views across the Andaman Sea. 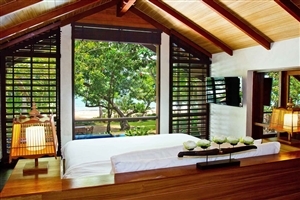 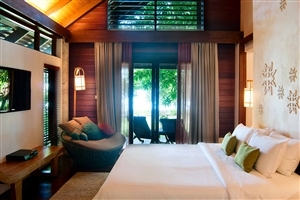 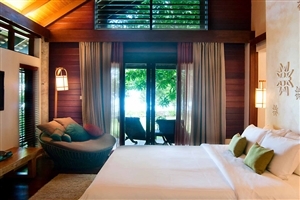 The Sea View rooms feature a swinging hammock, a daybed and an outdoor bathtub. 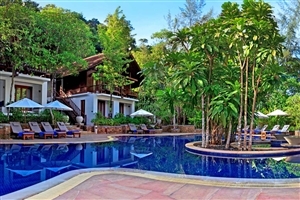 The Laurel Suite at Tubkaak Resort offers 120sqm of accommodation space, including a separate bedroom and living area, plus marvellous sea views from the double balcony. 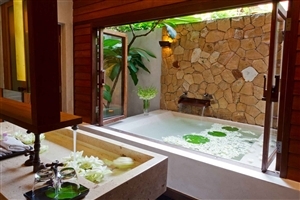 The Laurel Suite also contains a romantic Jacuzzi tub. 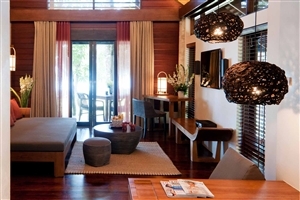 The Tubkaak Suite at Tubkaak Resort offers 198sqm of accommodation space, including separate bedroom and open-plan lounge areas. 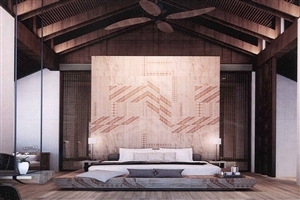 The Tubkaak Suite is further distinguished by its large infinity-edge swimming that leads into the Andaman Sea, a Jacuzzi tub and a private sauna. 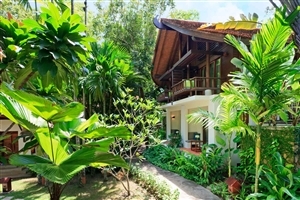 The Garden Rooms at Tubkaak Resort offer 45sqm of accommodation space, including a master bedroom and an outdoor area containing an open-air bathtub. 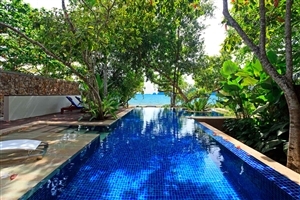 The Beach Pool Villa at Tubkaak Resort offers 110-120sqm of accommodation space and is specially located along the beachfront for easy access to the sumptuous sands. 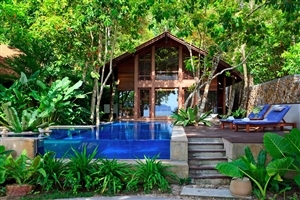 Exuding stunning views across the Andaman Sea, the Villa comes with a private pool with a Jacuzzi, while guests can revel in the stunning interior design and charming touches. 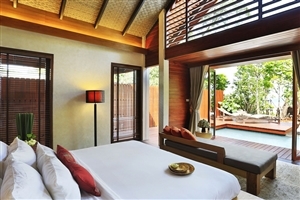 The Premier Pool Villa at Tubkaak Resort offers 95-110sqm of accommodation space and are ideal for a romantic getaway with its intimate touches and contemporary touches. 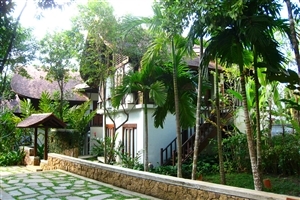 Features include an outdoor pool with a Jacuzzi, while it is enclosed to ensure total privacy. 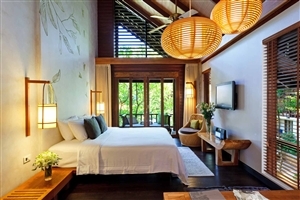 The Haven Suite at Tubkaak Resort offers 170sqm of accommodation space and offers a beautiful blend of indoor and outdoor living with its high ceilings, large walls of glass and contemporary Thai architecture. 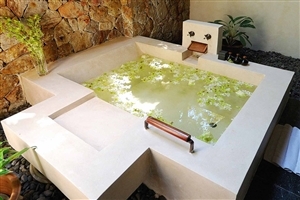 Features include a vast living space and an outdoor sunken bathtub with Jacuzzi. 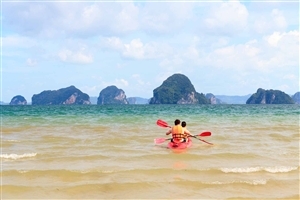 Choose from a range of exciting activities when you stay at Tubkaak Krabi, from the relaxation of spa treatments to the exhilaration of the many watersports on offer.